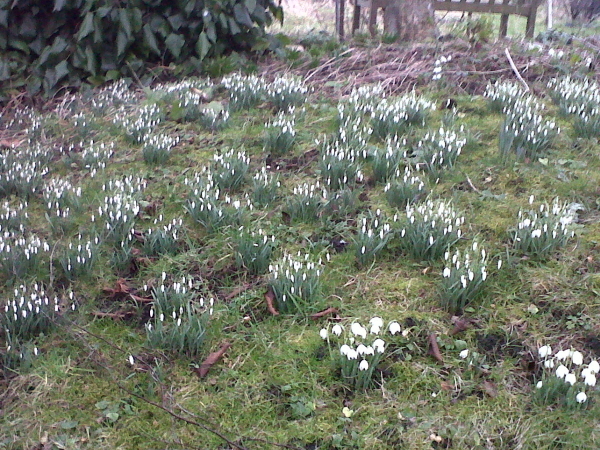 The snowdrops have taken their time coming up in the grass but they're now looking good. The weather has been a bit stop-start and the spring bulbs are behaving accordingly. The daffodils up on the main road were in bud during the snow at the end of December and are only now struggling to show some colour. Usually they are giving a brilliant show by mid-February. Snowdrops are always popular. 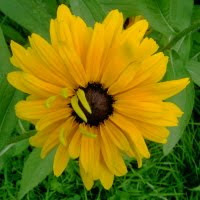 There are so many varieties - tall, slender, single bloom to short, frilly doubles. At the Thringstone Community Centre table-top sale on Saturday I sold 10 pots of flowering snowdrops and could have sold as many again!